I'm featured in this months Cycling Active magazine. If you've not seen it already, go out and get yourself a copy. I'd just downloaded the magazine last night on Zinio. It was great to see your feature in there! Congratulations Toby! Well deserved recognition. Yes Toby...I subscribe to the magazine and have seen it......good article. Well done and as Mike has said "Well deserved recognition". 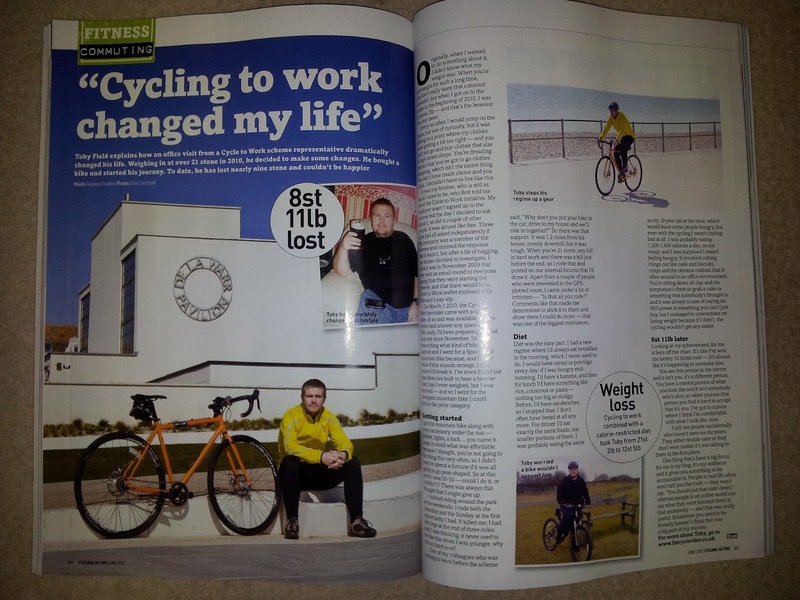 Your story in Cycling Active was an inspiration, im much like you 'used to be' and i have found your blog thanks to the magazine. Hopefully i can emulate your success myself and get fit. Keep up the good work and well done. Good luck with taking this on. If you need any help or advice, just ask.